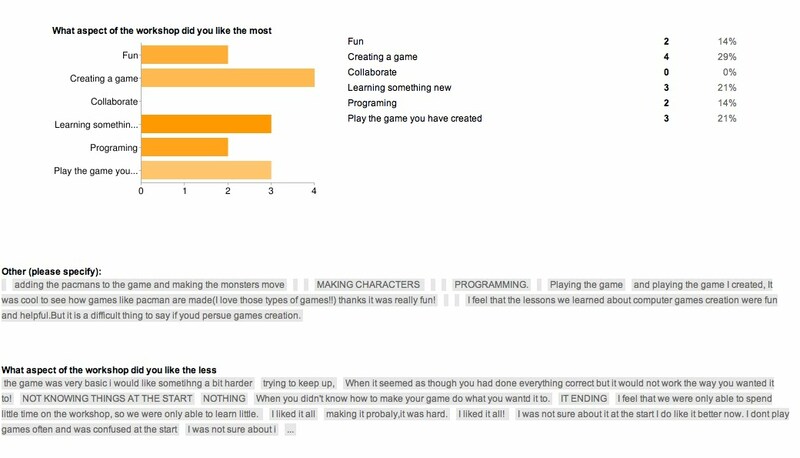 Following the workshop on Video Games, students were asked to fill-out a feedback form to indicate whether they enjoyed the workshop, identify how it motivated them to embrace a scientific career (e.g., IT), and evaluate how it could be improved. The respondents consisted of 8 boys and 6 girls. 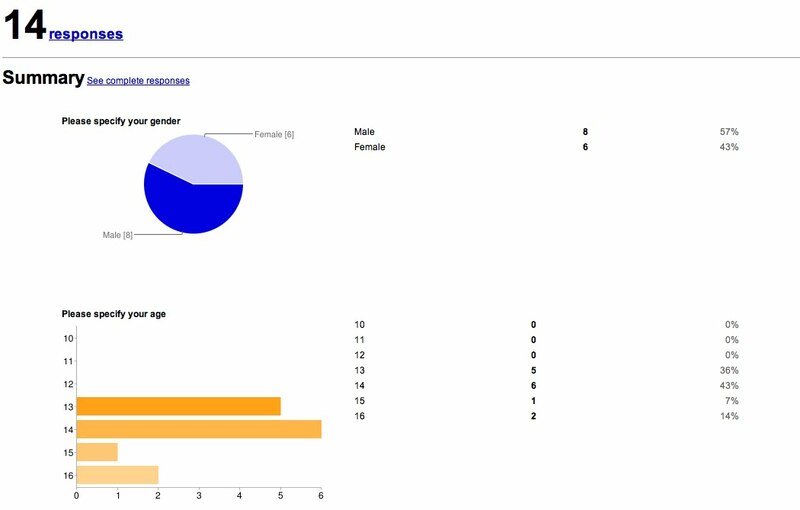 Most respondents were aged between 13. and 14. Most of the attendees found the workshop was fun (93%), and would like to carry-on creating games in the future (57%). 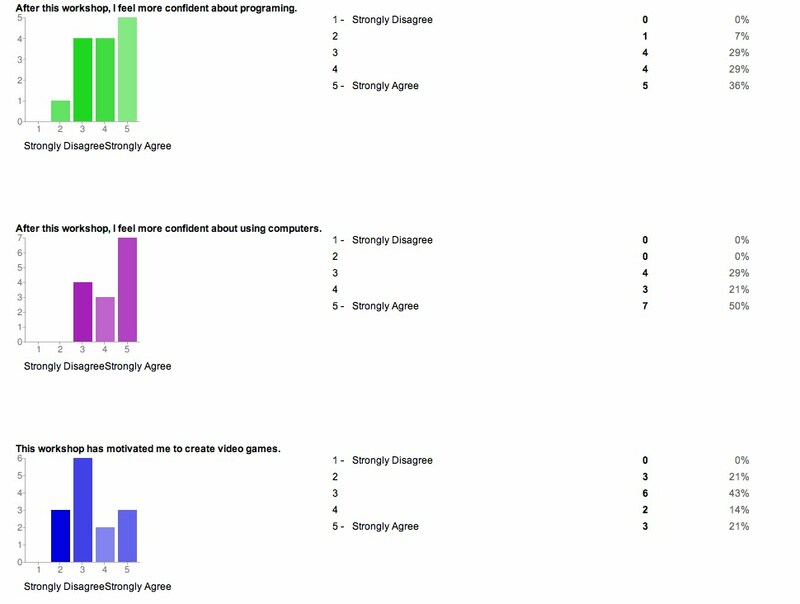 After this workshop, most attendees felt more confident about programing (65%) and using computers (71%); 35% found that the workshop had motivated them to create video games, 21% did not share this opinion, and 42% neither agreed or disagreed. When asked about the aspect of the workshop that they preferred, attendees essentially found creating a game (29%), learning something new(21%) and playing the game they have created (21%) the most enjoyable parts of the workshop. The majority of the students felt that they would like to know more about computing or programing after this workshop (78%). This entry was posted in Uncategorized on June 20, 2011 by admin. Like the presentation of the feedback survey here.